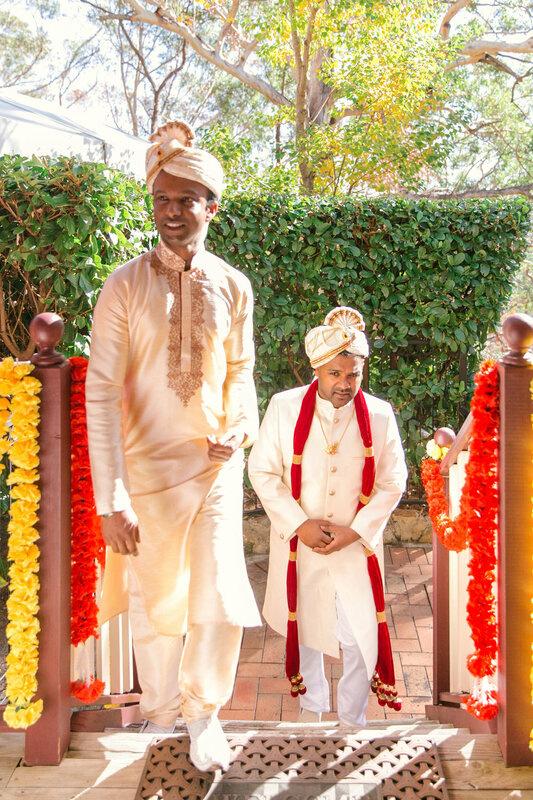 Kasturi and Damien had a long celebration for their Indian wedding. 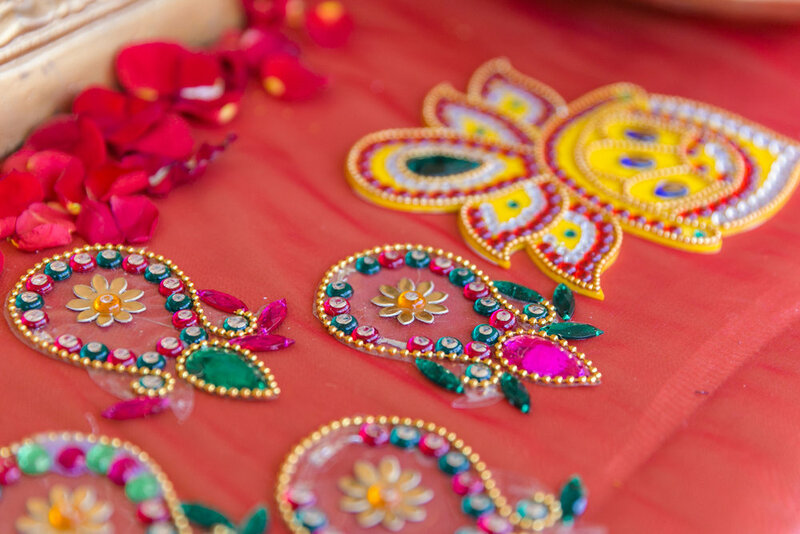 Their wedding was filled with vibrant colours, beautiful traditions and great food of course! 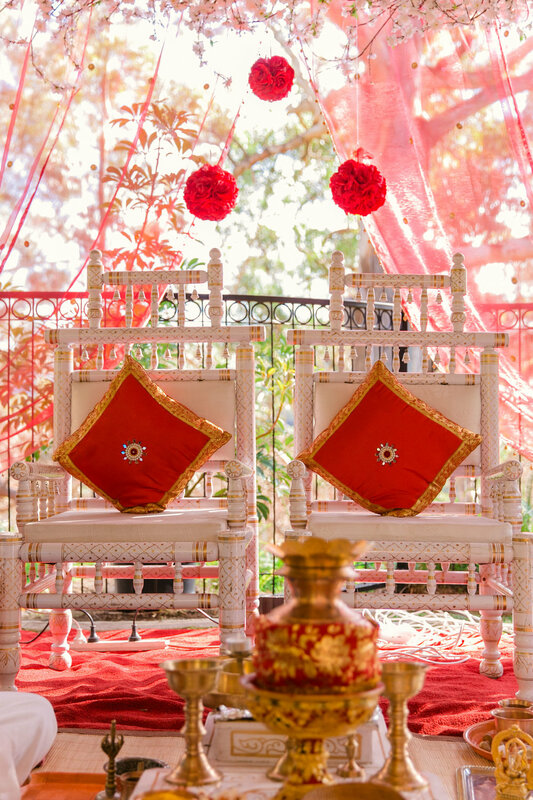 They had a gorgeous Hindu ceremony where the couple was seated under a Mandap (an altar) which was decorated with heaps of flowers and fire in the middle of the marriage stage. 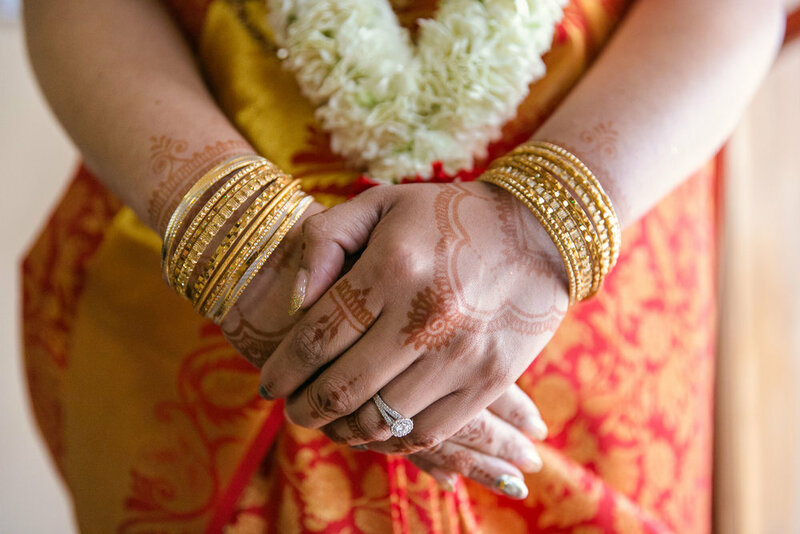 There were many details that are crucial to the Hindu ceremony. 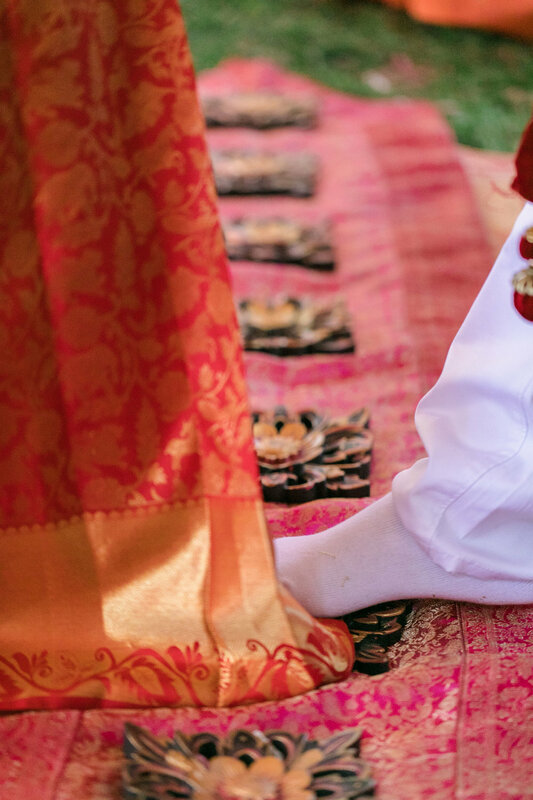 There were various steps of the Hindu ceremony that the couple had to adhere. 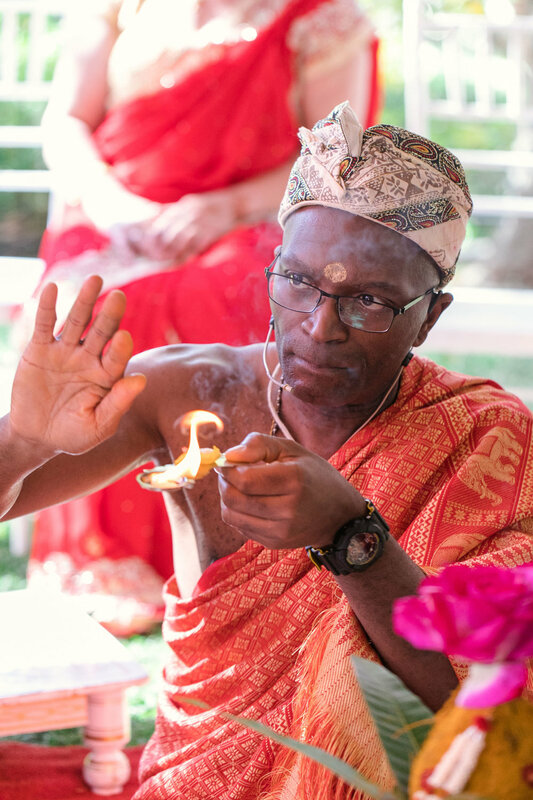 The ceremony started with a blessing to remove any obstacles and bless the lovely couple. 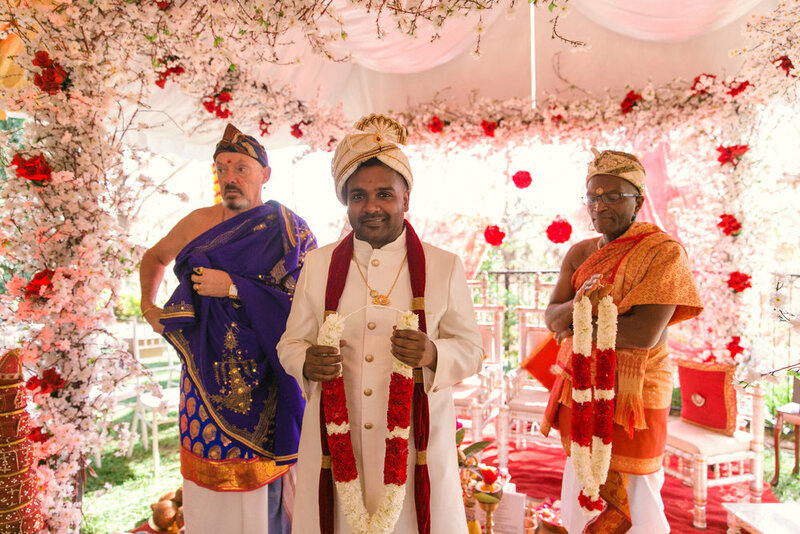 The couple then exchanged flower garlands to symbolise their acceptance of each other as well as respect for one another. Following that was the circling of the Holy Fire which acts as the divine witness to the couple’s sacred union. Then there was the 7 steps that symbolise their vows and promises to each other, followed by the ring exchange. I absolutely love how intricate the process was and it was such an honor to witness it. 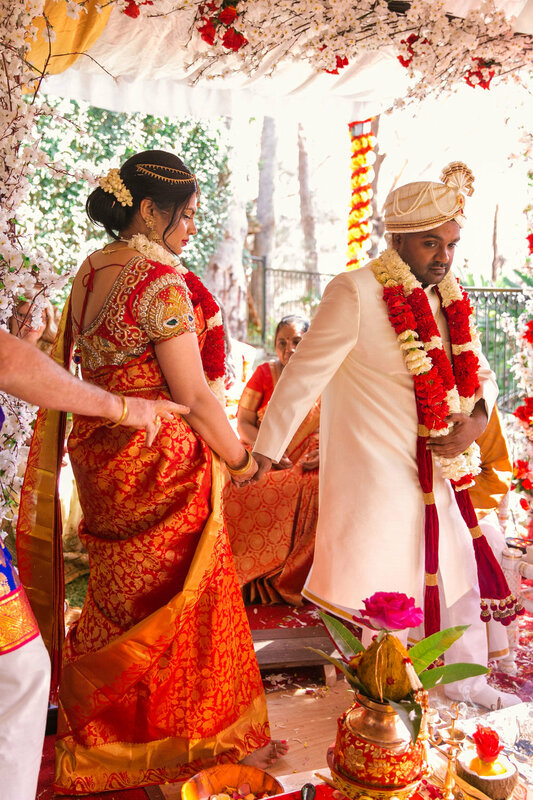 Once the ceremony was over, the couple celebrated with their family and friends by having a feast. The Indian food served was super delicious! Check out their photos below.